This horse was abandoned and alone. True Blue Animal Rescue took him in so he could get the vet care he needed and go into a foster home. This week his foster Mom decided he was meant to be there forever and adopted him! 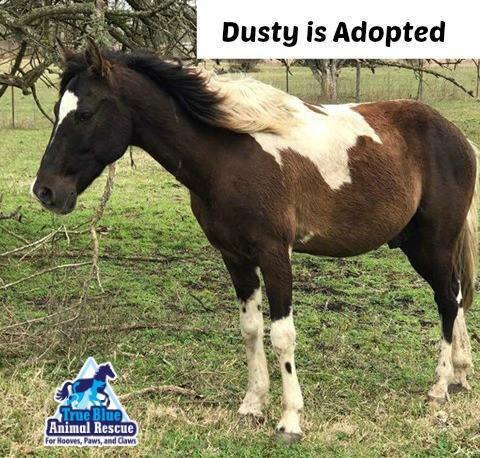 Hooray for Dusty and his new Mom, Jenni. If you’d like to adopt go towww.t-bar.org and take a look at the horses we have for adoption and consider our Foster to Adopt option.